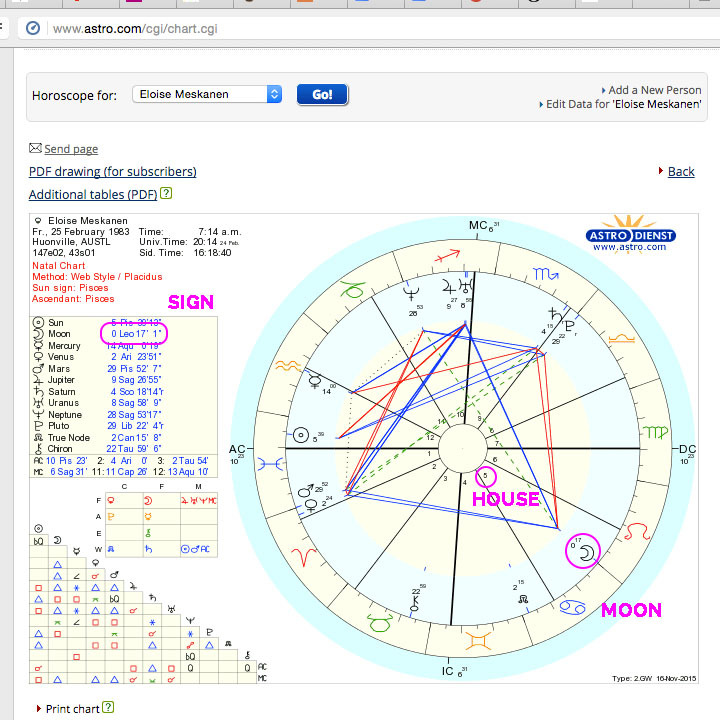 Want to find your Moon sign + house? 4. 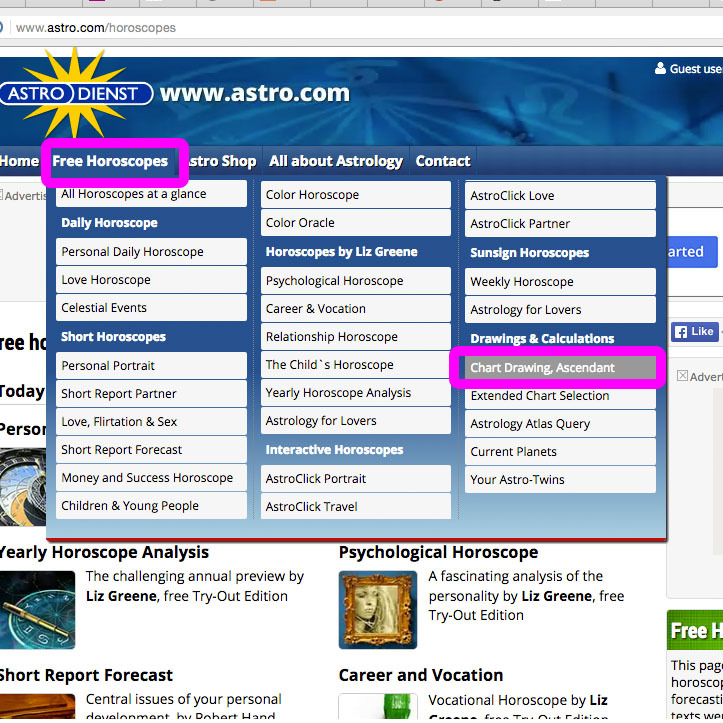 Find your Moon by looking for the Moon symbol - highlighted on the example next to MOON. 5. Check the top left hand box for it's SIGN. 6. Check the thin end of the wedge where it sits for the HOUSE number. That's it! Now that you've found your moon, wanna work with the Moon each month to call in your desires?